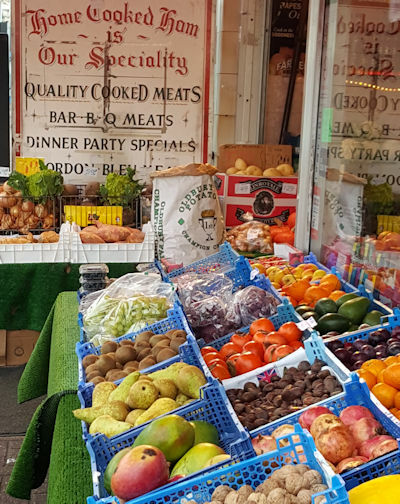 Hadleigh’s greengrocer and butcher shop always has a nice array of seasonal treats. I walked up from Thundersley to meet a friend for coffee this morning and took a bit of time on the way home to see what was on offer. Our weather is extremely mild at the moment, but the skies are grey and dismal so this bright display was a welcome sight.